Darrell Ashley - Owner of Studio 9. Engineer, guitarist. PRE-ORDER THE VINYL 45 Comes signed by the artist and a brief description how the record was made with producer Daniel Wonacott of the hit band FINCH. (cont'd from callus)... priests echoed throughout the room, and the coldness of its wisdom would sometimes bounce off the walls, leaving my mouth dry with thirst. I was in the habit of entering the parish with a smile, dipping my small fingers in the cement pedestal fixture filled with holy water and forming the sign of the cross on my forehead, never really catching onto the meaning of this ritual. I was a little follower, standing among giants and faces dedicated to a movement. The words that were spoken were far beyond my comprehension. At times, they appeared to be in a foreign language, inflicting more misunderstood fear within my undeveloped mind. I recall asking questions that were sometimes answered with unsentimental concern, and my thoughts would often drift to a safe, common ground, allowing me to be the person I was. In the closing ceremonies the exiting was the blessing for me, as I would run outside to breathe the familiar air and cleanse myself from the dungeons and the endless height of monuments that appeared wretched. No sooner would I open my eyes, only to feel imprudent under an ungracious figure pointing satirically, as it looked down on me from the perfectly manicured lawns of the church of St. Francis of Assisi. 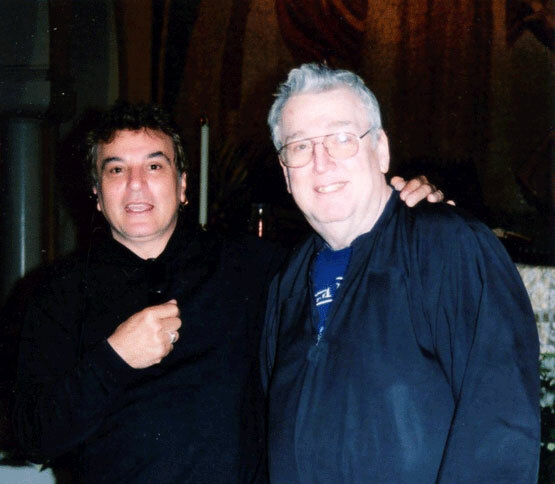 Father Gregory was a funny man and a kind priest. I first approached the comedic friar years ago when some heavy decisions needed to be explored in my adult life. The neglected spiritual messages can, at times, be intimidating to the layman believer. This Boston mediatory agent was gentle, as he explained my clouded perspective with an understanding I could follow. I periscoped the room and noticed the cold, grey, walls of his bleak office, a reflection of simpler times. A detailed wood and ivory crucifix hung on the lonely stones.of the rectory over the Father's head. His artful replies touched the core of my soul. As I took a deep breath, my head felt light and somewhat disconnected from my body. The engulfing energy swept through me like a blanket of serious realization. He reminded me that the search for the Trinity is a challenged parallel of sacrament. His thoughts were clear as he described John the Baptist's meeting with the Almighty at the river Jordan. It was comforting knowing that others had faced the same experience of amazement. Father Gregory lived to be a spiritual provider and enjoyed bending a risqué joke on occasion. He devoted his entire priestly existence providing ministry in the Archdiocese of Toronto and touched countless lives until his last days. We will miss him. 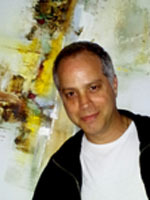 PASSION & THE ARTIST - Joseph Capicotto is a self-taught painter. As a child, his artistic abilities were evident at a young age. With pencil in hand he would search for any surface to draw upon. He could quickly sketch a picture with remarkable precision based solely on the photograph in his memory. He is well known for his wide variety of subjects and his proficiency in various painting techniques. Joe's wealth of experience in light, colour, form and dimension is seen in the natural transition he brings to the canvas. His still life works resonate with carefree passion. His figurative paintings embrace the elegant features of the human figure with a romantic flowing style. Many of his pieces express a sense of reality and dream at the same time. They evoke feelings of mystery, passion and intrique. Joe is a professional artist, currently residing in Canada. His artistic productions have recently been flourishing throughout the country. They may be found in private and public collections, as well as, art galleries throughout North America. 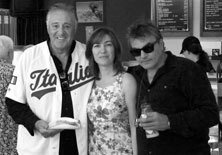 NHL superstar Phil Esposito, hot dog, Jimi and Marisa at the Italian Walk Of Fame in Toronto Canada. Yes Phil got a star. 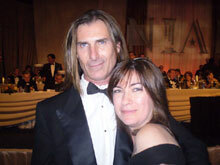 I can't believe it's not butter fame Fabio himself, with the lovely Marisa Lang in Washington DC at the NIAF conference. DYK that Brian Pim played on the MP3 hits "1965" and "Radio Tree"
DYK The Name Jimi is a pet form of James. Jimi Dams (born 1968), a Belgian artist. Continuous 24-7 Treasure Island Oldies with your host Michael Godin. Vinnie and the boys are tearing it up. As a child her best friends were not Barbies, but an Etch-a-Sketch, and a big box of crayons (with a sharpener of course)...and then the Beatles came along.The artwork took a back-burner, and she became an avid fan of music from that instant to this day. She has been an art director, an illustrator and a designer, but music has always ran a close second.She sings in the car, but not the shower, and is an advocate for animals, be they wild or domestic. GO GREEN... www.ecomistsoultions.com For our children's children we must pave the way. SPACE PATROL - From left Jimi B, Peter Verity Glen Wilson and Rude van Steene. As Jimi continued his relationship with United Artists Records he began to grow immensely. His writing could be tailored to the needs of the project he was developing or producing. One of these projects was Space Patrol. A group of musicians from the Ajax area just east of Toronto. Although the members had very little recording experience Jimi would do his best to make all involved to feel comfortable and at ease. The band recorded 4 songs at Eastern Sound, Toronto......but only "Burning Love" and the B side "We Can Fly" would be released on the United Artists label. 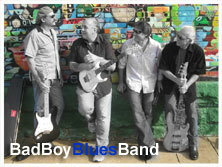 The band would go on the road and do some scattered dates in the Ontario, and Eastern Canada. Jimi did not want to tour or travel. He recommended the group seek another singer bass player to replace him....he had other projects to produce and wanted to spend more time closer to home and in the studio. The band would eventually find a replacement and would continue to tour across Canada. Peter Verity continues to write and perform . He recently returned from Nashville where he played to full houses. Space Patrol released only one song and the rest are in some vault at EMI...to bad. Want an 8X10 promotional copy for your collection email us. DYK: Canadian Bandstand had 5 Hosts: Wally Crouter, Gary McLaren, Reg Sellner, Peter Emmerson, and Grant Hoffman. Whether you are producing a multi-million dollar commercial or a small budget film, James Bert Publishing can provide a catalog of songs and music that can compliment the end results.Since 1973 we have been producing hit-making music. Drop us an email and let us be part of your next winning project. All site content (e.g. 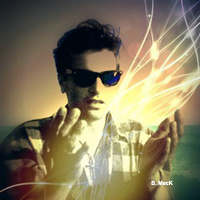 clips, stills, designs, audio samples,writings videos, etc.) is protected by intellectual property law any use without the written permission is strictly prohibited. &COPY;1997 - 2013 All rights reserved.Marisa Lang Management email us solidhits@jimibcom PLEASE CONTACT THE WEBMASTER IF YOU NOTICE ANY PROBLEMS WITH THE PAGE.